Why See A Sports Specialist? Sports-related concussions are unique when it comes to recovery. When returning to sport, the athlete must be asymptomatic with exertion and returned to play with a progression of exercise and sports-related functional exercises. This particular aspect of returning to play is our area of expertise. Dr. Steele has been specializing in concussion management for athletes since 1999 and has given numerous lectures on concussions in sport throughout the Rocky Mountain region. Dr. Steele’s passion for treating head injuries in sports dates back to his time as a US Ski Team physician for the Nordic Combined Team and the 2002 Olympics in Salt Lake City. He also has specialized training with ImPACT® neurocognitive testing, and no one else in Montana has more experience. Dr. Steele helps with event coverage for our local high schools and Helena Small Fry Football program. During his fellowship, Dr. Walton served as a team physician for Rocky Mountain College and high schools in the Billings area, where he gained valuable experience with ImPACT® neurocognitive testing and was well versed in returning athletes back to play. Dr. Walton is actively involved in the weekly after-school high school training rooms at both Helena and Capital High Schools, and he pays a weekly visit to the Townsend Bulldogs. He also provides event coverage and sports medicine support to the Helena Small Fry Football program. Abby has a special interest in concussion injuries in soccer. She was a member of the soccer team at Helena High School and is passionate about making sure athletes from our local high schools safely return to sport after a concussion. Abby is experienced in return to play protocols and ImPACT® testing. She has been actively involved in weekly after-school high school training room visits and event coverage at both schools. A concussion is a brain injury caused by a blow to the head or body. This force may occur from contact with another player, hitting a hard surface such as the ground or floor, being hit by a piece of equipment such as a bat or ball, or a motor vehicle accident. A concussion can change the way your brain functions. Concussion symptoms can range from mild to severe and may present very differently with each individual athlete or patient. The vast majority of concussion injuries do not include loss of consciousness. What Is ImPACT® Neurocognitive Testing? Computer-based neurocognitive testing is used by the NFL, NBA, NHL, and all Division 1 NCAA sports programs. When it comes to conducting baseline or post-concussion testing with this valuable tool, no one in Montana has more experience than our staff. We help with baseline testing for both Capital and Helena High Schools, and we review much of the data after yearly testing. We work closely with both high schools to establish our return to play program and post-injury testing program. For those athletes without baseline testing, we utilize post-injury testing to help understand the depth of injury and when brain function has returned to normal. What Is Return to Play Progression? Montana’s Dylan Steiger Protection of Youth Athletes Act took effect during the 2013-14 athletic season. It requires that all athletes suspected of a concussion are cleared by a medical provider before returning to play. Each sport has a unique return to play progression. At PICSM we specialize in returning your athlete back to their sport in a timely but safe manner. 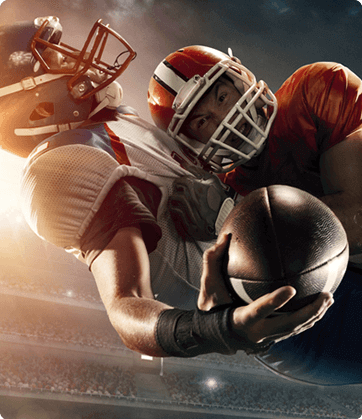 We are the experts on sports-related concussions and can help your athlete on their path to recovery. Dr. Steele was actively involved in writing the progression guidelines for Montana, and every member of our concussion team is well-versed on concussion management and returning your athlete back to sport. Although each concussion is a unique event with the severity of concussion depending on which parts of the athlete’s brain was injured, we are well-informed on the latest recommendations and protocols. We understand the risks of returning an athlete back to sport too quickly and the importance of a gradual progression back to sport to prevent re-injury. What Can I Do to Feel Better After a Mild Traumatic Brain Injury? Although most people recover after a concussion, how quickly you improve depends on many factors, such as how severe your concussion was, your age, how healthy you were before the concussion, and how you take care of youself after the injury. You may find it difficult to do your daily activities, perform your job, go to school, get along with everyone at home/work/school, and even relax. Rest is very important after a concussion because it helps the brain heal. Ignoring your symptoms and trying to “tough it out” often makes symptoms worse. Be patient, because healing takes time. Only when your symptoms have decreased significantly, and after consulting with your healthcare professional, should you slowly and gradually return to your daily activities, such as work or school. If your symptoms come back or you experience new symptoms as you become more active, this is a sign that you are pushing yourself too hard. Stop these activities and take more time to rest and recover. As the days go by, you can expect to gradually feel better. While you are healing, you should be careful to avoid doing anything that could cause a bump, blow, or jolt to the head or body. If you already had a medical condition at the time of your concussion (i.e., chronic headaches), it may take longer for you to recover from a concussion. Anxiety, depression, learning disabilities, and bipolar disorder also make it harder to adjust to the symptoms of a concussion. On rare occasions, receiving another concussion before the brain has healed can result in brain swelling, permanent brain damage, and even death, particularly among children and teens. Get plenty of sleep and rest during the day. Avoid activities that are physically demanding (housecleaning, weight lifting/working out) or that require a lot of concentration (balancing your checkbook). They can make your symptoms worse and slow your recovery. Avoid activities that could lead to another concussion, such as contact or recreational sports. When your healthcare professional says you are well enough, return to your normal activities gradually, not all at once. Your ability to react may be slower after a concussion. Ask your healthcare professional when you can safely drive a car, ride a bike, or operate heavy equipment. Talk to your healthcare professional about when you can return to work. Talk to your employer about returning to work gradually and limiting activities and/or your schedule until you recover. Don’t drink alcoholic beverages, as they may slow your recovery. Avoid sustained use of the computer and additional screens like iPads and mobile phones. Eat well, drink lots of water, and get plenty of sleep. Help your child get plenty of rest and keep a regular sleep schedule, including no late nights and no sleepovers. Limit screen use (i.e., watching TV, playing video games, texting). Make sure your child avoids high-risk/high-speed activities, such as riding a bike, skateboarding, climbing playground equipment, contact recreational sports, or going on rides that could result in another bump, blow, or jolt to the head. Talk with your healthcare professional about when your child should return to school and other activities, and how you can help your child deal with the challenges they may face. For example, your child may need to spend fewer hours at school, rest often, or require more time to take tests. Sharing information about concussions with parents, siblings, teachers, counselors, babysitters, coaches, and others who interact with your child helps them understand what has happened and how to help meet your child’s needs. If you have a child or athlete who you suspect has suffered a concussion, don’t hesitate to visit Performance Injury Care & Sports Medicine. We are the concussion experts in Helena, Montana and surrounding areas. Concussions must be treated immediately to avoid re-injury or long-term damage. Call (406) 422-5817 for a same-day appointment or just walk in and be seen.